Heat oven to 350°F. Spray 13x9-inch (3-quart) glass or ceramic baking dish with cooking spray. 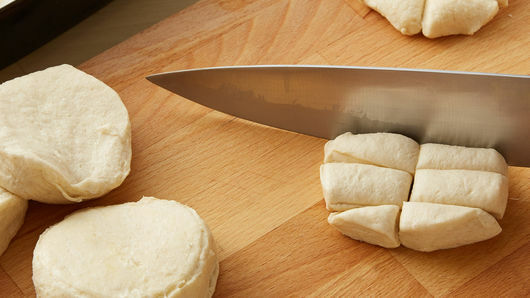 Separate dough into 8 biscuits; cut each into 8 pieces. Spread biscuit pieces evenly in baking dish. 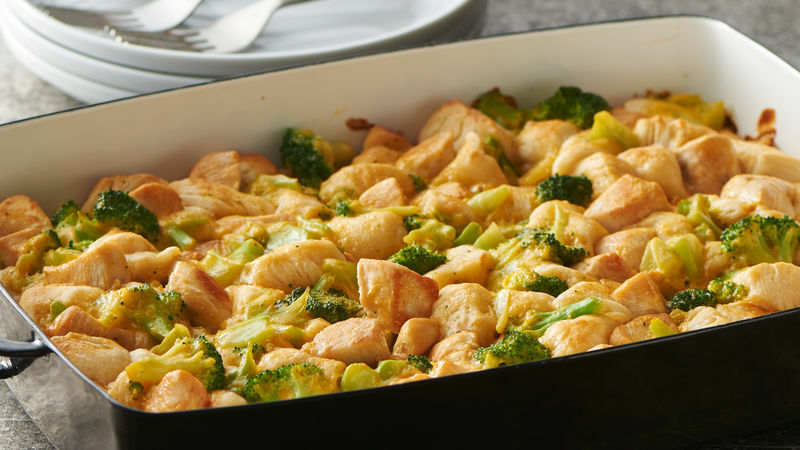 In 8-inch nonstick skillet, cook chicken over medium-high heat 10 minutes, stirring frequently, until no longer pink in center. Microwave frozen broccoli and cheese sauce as directed on box. 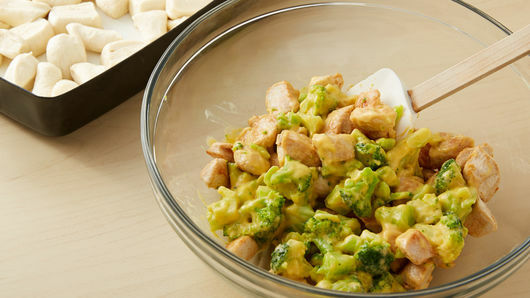 Place cooked broccoli with cheese sauce in large bowl. Add cooked chicken; stir to combine. Pour mixture evenly over biscuit pieces in dish. Bake 25 to 30 minutes or until biscuits are golden brown. Serve immediately. 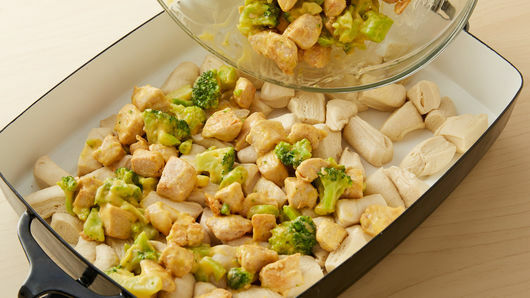 Add an extra box of frozen broccoli & cheese sauce for more vegetables! Sprinkle shredded Cheddar cheese over the top before baking for a cheesier bake!